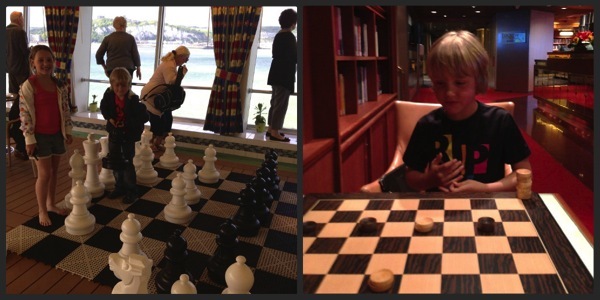 When I planned to take my my children (aged 8 and 9) on a cruise to Norway, I knew they’d have fun on the ship, but I wasn’t sure how much they’d find to entertain them at the ports. 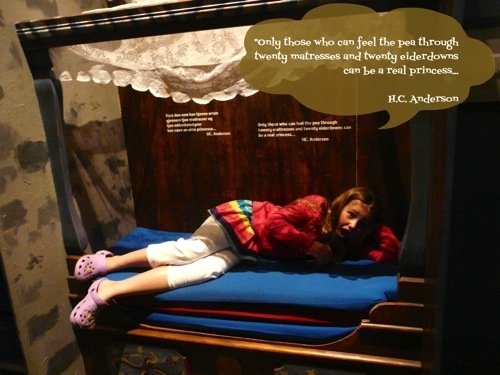 I needn’t have worried – Norway is very child-friendly with plenty to interest the younger crowd. Our next stop after Oslo and Kristiansand was Stavanger, the third largest city in Norway, with a population of 126,500. It is is a wealthy city, and is widely referred to as the Oil Capital of Norway. 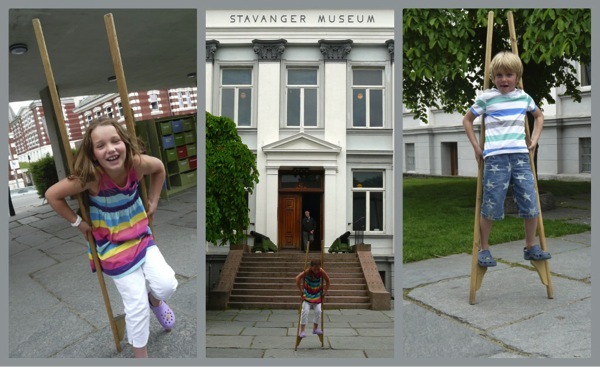 For us, the highlight of Stavanger was the Norwegian Children’s Museum. 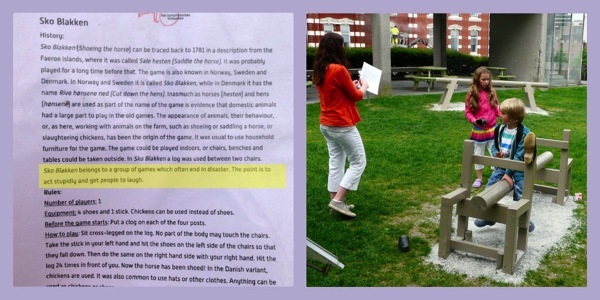 The equipment for each game is neatly stored in wooden drawers with laminated instructions in both Norwegian and English. We had the place to ourselves so we had plenty of time to play! The inside of the museum is small but there’s plenty to see, learn, and play on. 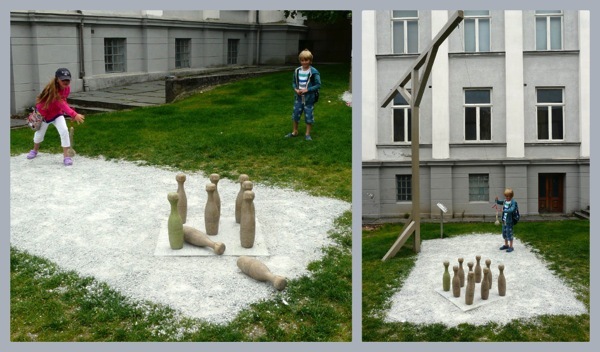 Back outside, the children (and, for a nanosecond, I) had a go on stilts. …and re-boarded the ship for yet more games! 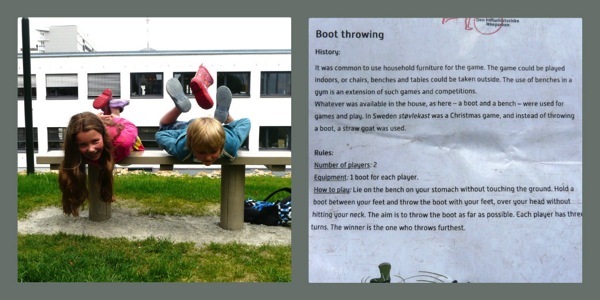 This post is part of a three part series about taking children cruising around Norway. On our final cruising day we sailed up the the world’s third largest fjord, the beautiful Hardangerfjord, stopping in at the pretty town of Ulvik – I’ll tell you about that next time. I’m linking up with Field Trip Friday at Home to 4 Kiddos. Wow that looks awesome!! The museum was amazing. Thanks for posting this. Norway is a place we want to visit, so knowing it has a lot of things in English is good to know!! We will be going by car, but I think it will still be ok. The Children’s Museum looks fantastic! So glad to read about your fun and hilarious adventures there. Thanks for sharing your experience. I’m looking forward to reading part 3! Thanks, Hwee 🙂 The Children’s Museum was a real bonus, I didn’t expect much more than a quick look around but we were there for hours. Plus it was free! Oh my goodness!! 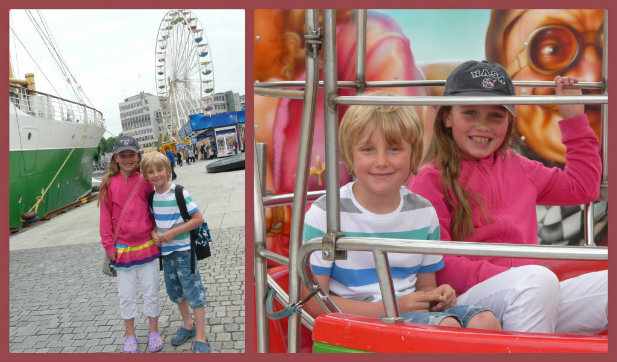 Forget about packing me in a suitcase, you HAVE GOT to pack my older three next time, they’d have such a blast! And I’d have such a break, but that’s a whole different story! What a wonderful, child friendly holiday! What incredible fun. Thank you for sharing all your good times in Norway. How fun! I love the games from the past. Thanks for sharing at the Creative Kids Culture Hop! Thanks, Leanna! And thanks for hosting the great link up. What a great time! We have never been on a cruise….or out of the country. I guess I’m just a chicken 😉 Thanks for linking up with Field Trip Friday! Thanks for hosting the linkup, Misty! 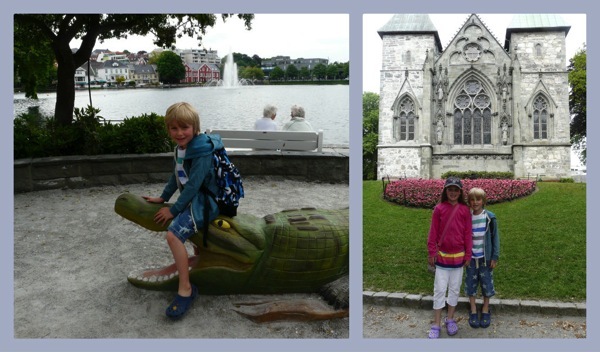 I have a couple of friends who’ve just returned from a year travelling round the world with their children who are the same age as mine – my vacation to Norway feels extremely tame in comparison!